The holidays are a festive time. Families get together, gifts get exchanged, and lots of good food gets eaten. For some people, the holidays are the only time they can assemble everyone and enjoy quality time together. 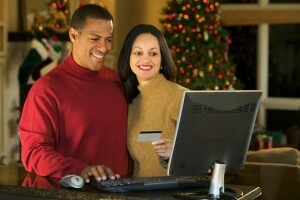 The holidays can be a great vehicle for different types of marketing, and this also applies to online business. Since shopping and gift giving is such a large part of most holidays, they’re great times for your business to generate new clients and greater profits. The success of such festive business depends almost entirely on your web site marketing. Some changes will be necessary when the seasons turn into another holiday. But don’t worry. This is marketing that can be fun. If you wondered why digital marketing is so effective for some online businesses, it’s because they cater to the right people and/or times. The holiday season is your cue that it’s time to make some changes. A good web site marketing practice is making your web site more festive. Like decorating the house, a new design or colour scheme can generate interest, adding visual appeal. Then there’s search engine marketing itself. You want your festive material to be found by clients online through organic searches; this might mean redoing your previous content to match the festive season with new vocabulary that people might be looking for through keyword searches, or offering deals specifically for the holiday season. Money can get tight this time of year, so people often go out searching specifically for deals, which you can offer them online. What some professionals don’t know is just how many holidays, festive and otherwise, are in a year. Because there are so many holidays, there’s no reason to not use festive marketing campaigns on a regular basis. Not only can they result in continued business success, but those in the holiday spirit will find a lot to enjoy. This requires some marketing skill, so it’s a good idea to familiarize yourself with online marketing techniques in order to successfully adapt your marketing to each holiday. If you find this difficult, you can consult a search engine marketing specialist, search engine marketing service, or graphic design department for help in the area that needs it, allowing you to upgrade your web site marketing material so that it fits your festive marketing techniques. It’s also good to do what the bigger companies do and keep an eye on the road ahead. Getting into the habit of preparing your online business and search engine marketing for upcoming holidays will allow you to give prospective or existing clients advance notice about the great holiday deals you have in store for them. For online businesses, holiday success is about creating an image to fit the holiday in order to better suit clients’ needs.